The responsibility of a business to the community usually takes a back seat to producing goods for customers and generating profits for the company. At Integral Lighting, we are continually searching for worthwhile projects that need lighting. We offer fixtures at no cost to projects that qualify. Over the past years, Walter Reed Medical Hospital via The Yellow Ribbon Fund, various Veterans Memorials, Wigs & Wishes and local community parks have received free Integral fixtures. 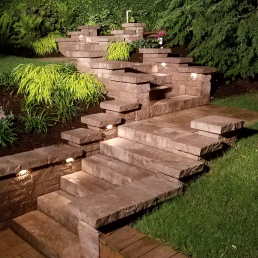 Do you know of a community project in need of hardscape lighting? If yes, then we want to hear from you! Contact us or call us directly at 800.861.1364.